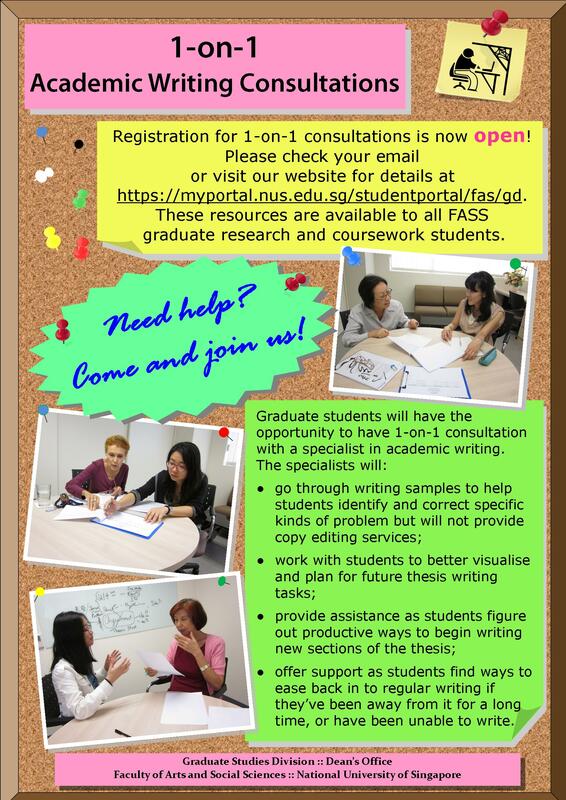 As Semester 1 of AY2013/2014 approaches, you may start to worry about CORS bidding and wonder how to secure your modules for your first semester in NUS. You may also have several unanswered questions pertaining to Psychology as a major. Computers are provided in the computer lab on a first-come-first-serve basis. Feel free to contact us if you have any queries or if you are not able to find the venue. In the past, some students have had to stay back a semester because they did not read enough modules, read the wrong modules or have not met university requirements for some reason. Some of these cases could be avoided if the students were more familiar with curricular and major requirements. Don’t let the same situation happen to you—come for the Orientation Talks, empower yourself and make the best of the FASS curriculum! 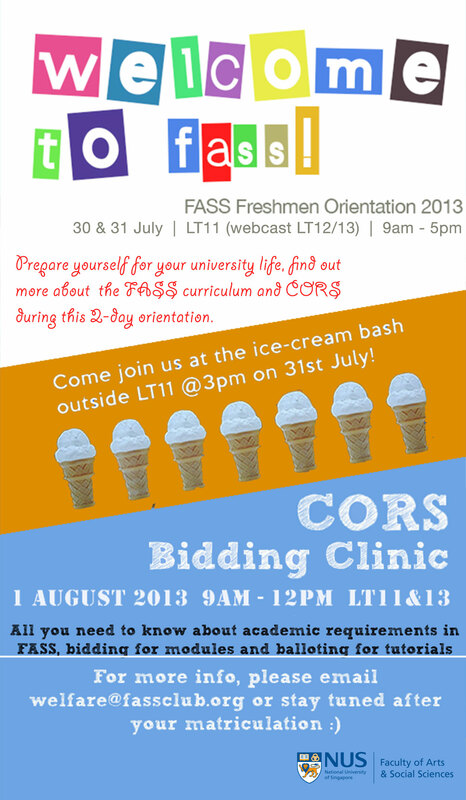 For more information on FASS Freshmen Orientation, click here. Calling all alumni… come join us to celebrate NUSSU Rag and Flag’13! 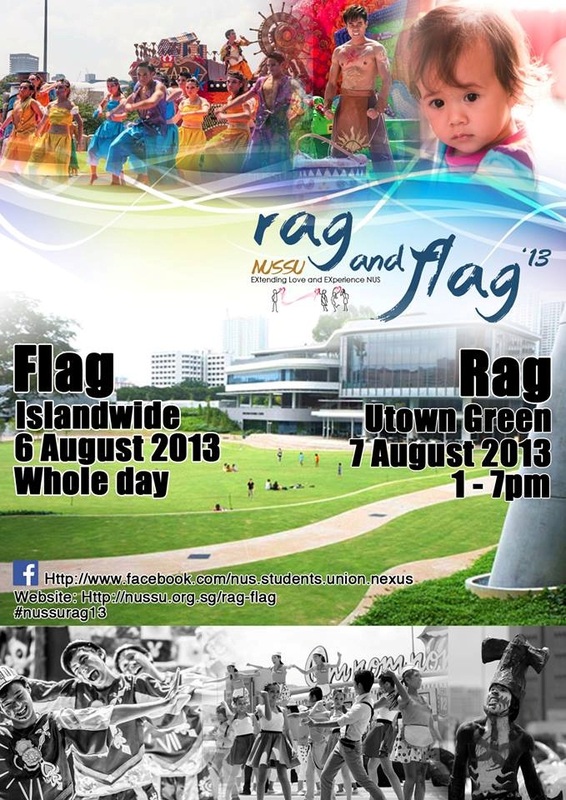 NUSSU Rag Day this year will be held on the August 7th 2013, Wednesday. This year marks the 55th year of NUSSU Rag and Flag and to celebrate this momentous occasion, NUSSU Rag Day 2013 will be held at a new venue, University Town Green. This year’s Rag Day promises to be yet another splendid display of the vibrancy in our NUS culture, with students from various faculties and halls coming together, embracing their differences to deliver a sensational performance. The theme for Rag and Flag this year is “Extending Love, Experience NUS”. Would appreciate if you could RSVP by 31 July 2013 via the google spreadsheet https://docs.google.com/forms/d/1GE4Dg-i__lxxd50wUC8sXCQukbmknclINryVGw3Nm04/viewform. Seats are limited and will be given on a first come first served basis. More admin details will be sent to you upon confirmation and allocation of your seats. We look forward to welcoming you to this exciting event! Greetings from the NUS Office of Alumni Relations! Alumni Day @ Kent Ridge is an annual tradition that welcomes alumni young and old back to the Kent Ridge Campus for a day of fun. This year, we are back at NUS’ University Town for a Carnival/Concert for the entire NUS community of alumni, students and staff! Join us for workshops on a variety of topics from career development and photography to study skills with Adam Khoo! For movie fans, we will be screening ‘The Hobbit- An Unexpected Journey’ (PG-13). All of these activities will lead into our outdoor concert featuring some of the best NUS alumni and student talents! Don’t forget also to check out the rest of our games and activities that will be happening throughout the evening! Click HERE to register and find out more about the programme! CP2201 is available through CORS bidding. The enrollment for CP2201 is limited. For this coming semester’s course we are proud to announce an exciting list of speakers who have founded interesting and successful companies. Several are former NUS and SoC graduates. There will be a visit to one of the more remarkable incubators in this region – Joyful Frog Digital Incubator. There will be a talk from StarHub’s Innovation Unit on market opportunities in Singapore and the region. StarHub is a sponsor for CP2001. CP2201 is offered in Semester 1 (2013/14). The course will be held on 4 Tuesdays, on August 20th and 27th, September 3rd and 10th, and is scheduled for 6 to 9pm in the Executive Conference Room (ECR), in building COM2, 04-02.There will be a site visit to an exciting incubator on Friday 6th September evening. The course is to be taken for 2 Credits on a CS/CU basis (no sit-ins are allowed). Attendance for the sessions is mandatory. 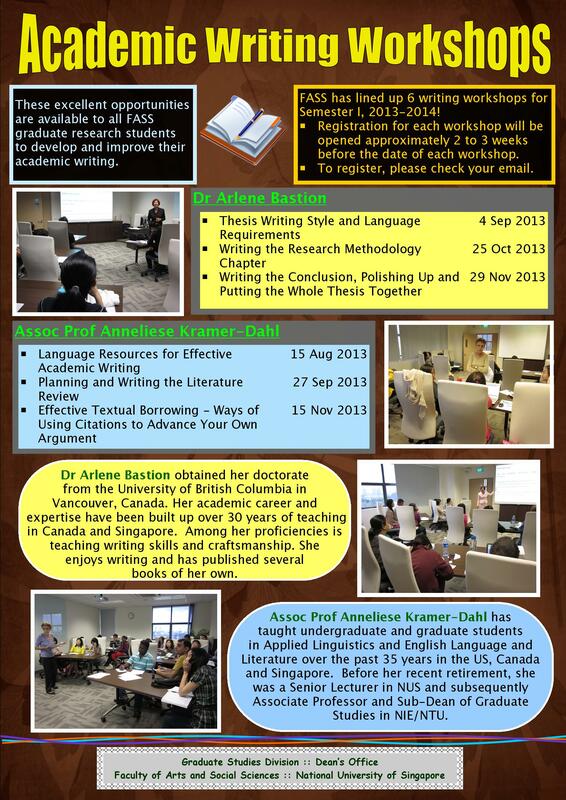 If you have any questions, please email Professor Juzar Motiwalla directly at dcsjm@nus.edu.sg. The Chong Pang CCC is offering five undergraduate scholarships to 2nd year university students. Three of the scholarships will be offered under the Dymon Asia Scholarship for Social Impact and two under the Chong Pang Scholarship for Social Impact. The deadline for the application is 31 August 2013. Please click on the link below to download the scholarship description and the joint application form. The Department of Architecture is offering up to 20 places for the module “ AR2222 History and Theory of Western Architecture” in Semester 1 2013/14 for ARS3, ARS4 and SOC4 students except for Economics students. Click here for the the write up of the module for your reference. 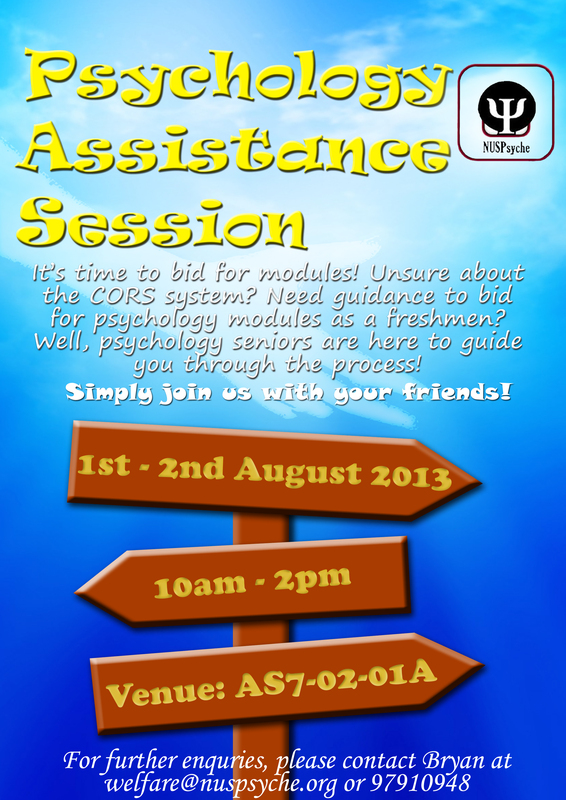 If you are interested in taking up the module, you may bid for the module in CORS starting Round 2A on 5th August . We are pleased to inform you that EG2604 (Innovation Programme) is a module with 4 Modular Credits offered by the Faculty of Engineering and is open to ALL NUS students. Students outside Faculty of Engineering are encouraged to take this module, find partners in Engineering, to find and solve problems together. The Innovation Programme (IP) is designed to provide undergraduates with an experience of engaging in a semester-long innovative activity. Students taking part in IP will engage themselves on a hands-on basis to create an outcome that has a practical significance. Students, under the guidance of a group of mentors will choose the subject of this engagement, find and define the problem they want to solve, defend it, and see through the completion of the solution. The mentors will monitor the progress and give advice in project development. The 1st class is on 12 Aug 2013. Even if you have not decided to take this module, you are welcome to attend the 1st class to find out more! – Grades awarded will either be CS (Satisfactory) or CU (Unsatisfactory). This module does not count towards the 12MC for S/U modules.